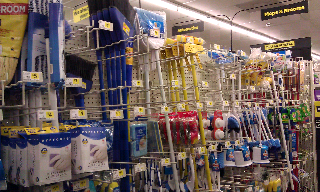 Dollar General: 50% off your ENTIRE purchase of Home Décor, housewares, and more! So I don’t normally post more than once a day, but I wanted to share this deal with you! I posted it on my coupon blog (CentsibleSavings) but I wanted to make sure you saw it too! Last year about this time, Dollar General released a coupon for 50% off your entire purchase of Home Décor, household, etc. and I racked up. I am happy to report the coupon is BACK AGAIN! Woohoo! 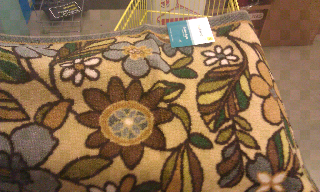 I went on Monday night and took some pictures of some of the things you can get for 50% off with this coupon (remember it is 50% off your ENTIRE purchase of Home Décor, housewares, kitchen, bed pillows, sheets and rugs) And Dollar General prices are sometimes even lower than Wal-mart prices so think 50% off those prices. Rugs – some cute ones too! Thought this little white lamp was cute! $7.00 so only $3.50 after coupon! I just got a large white lamp for $2.00 at a thrift store/yard sale but that is RARE and hard to find! These are brand new, and super cute! Another oil rubbed bronze lamp. 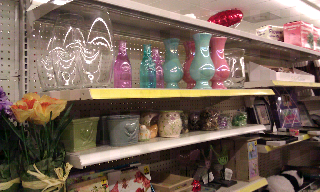 And the lampshades to go with these lamps are $5.00 so only $2.50 after coupon! 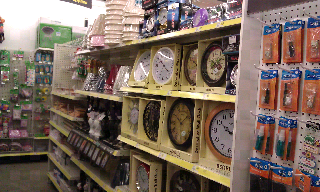 Loved the basket aisle! I will show you what I got below. Their towels were not bad either. Not paper thin – decent for the price. 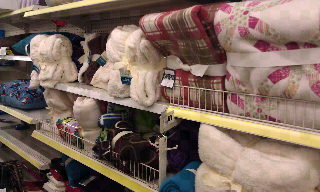 Bath towels were $5.00 so $2.50 after coupon. 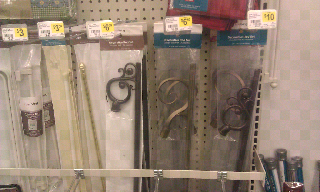 How about curtain rods? Priced from $6-10 so only $3.00-$5.00 after coupon – wow! 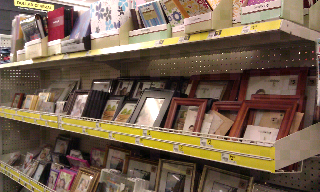 Most of the picture frames were pretty cheap and I can usually find them for 50¢ at yard sales so wasn’t too impressed but I am going to check another store to see if they have better selection. Let me know what you find! Don’t forget to print your coupon before you go!